Hence the very common voetstoots or “as is” clause. In effect as seller you are telling the buyer “you agree to take the goods as they are, the risk of defects is on your shoulders, and I give no guarantees”. Note however that a seller cannot always hide behind such a clause – if he/she is aware of a latent defect and deliberately conceals it with the intention to defraud the buyer, all voetstootsprotection falls away. Don’t risk having to fight in court over whether or not the CPA applies to your purchase, and over whether or not any voestootsclause is valid. 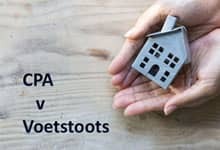 Be warned that depriving a private seller of the protection of a voetstoots clause is never going to be easy, particularly since you will need to prove that the seller intended to defraud you by concealing a defect.